GoXtra News: Telkom Knockout Trophy: Who will go the final? 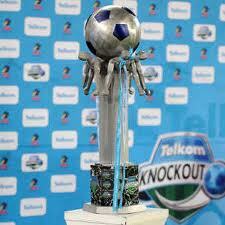 Telkom Knockout Trophy: Who will go the final? 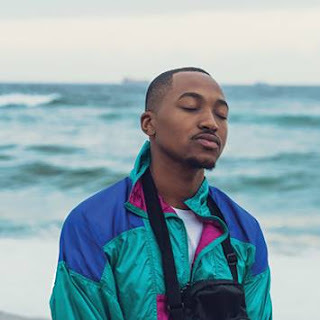 Four Premier soccer league teams have the chance of dancing holding the Telkom Knockout trophy accompanied by the 4 million Rands. All this will go to the team that will hold on till the end. As football fans will be looking forward to getting an early Christmas present from their favourite remaining teams in the tournament. Golden Arrows will host Orlando Pirates at Moses Mabhida stadium on the 26th November at 20h15. The following day Bivest Wits will play against Santos at Bidvest stadium at5 15h00. There is no doubt that most eyes will be on Muhsion Etugral to see whether he still have that spark of attracting trophies. Abafana Besithend’ are in need of the silverware as they last won one in 2009 which was the MTN 8. Orlando Pirates will also be looking forward in advancing to the final stage of the tournament and prove that winning the treble last season was not a mistake. Beside the Duke boys have to regain the trust of their fans. Lately they have been running like headless chickens. You would even swear that they spent a night in the shebeen before the game particularly when they were playing with BIDVest wits last week. We don’t know how will they perform this time but we are sure that Etugral is waiting for them. The big man Collen Mbesuma is expected to cause chaos on the shaking Bucs defence. on the Bucs camp Tokelo Rantjie has proved it that given an opportunity he can do more compared to Bongani Ndulula who never show any growth regardless of game time you give him. It will be up to Pirates coach Julio Leal to play him or not. So far his performance is pleasant. As for Leal he is in the boiling oil. Victory will reduce preasure. Bidvest Wits is also expected to carry on where it left when it ripped off Orlando Pirates 3-1 last week Saturday. On the day the students became teachers as Bucs were chasing ghosts and became the real Ghost as they are known. On Sunday afternoon Wits will have to work hard in breaking the people’s team wall as they believe in defence and rely on counter attacks. Santos website reported that captain Tyren Arendse will not be part of team travelling to Bidvest. Will not be part of the term as he picked the 3rd yellow against Kaizer Chiefs last weekend. Erwin Isaac who desperately need this silverware name to be written in his profile will be coming to rescue the peoples team midfielders. On the Wits side Captain Sfiso Myeni will be a man to look out for not forgetting Ryan Chapman who played very well against Pirates. The question remains that who will go to the final stage…? Of course between these four teams. Let’s wait and see.